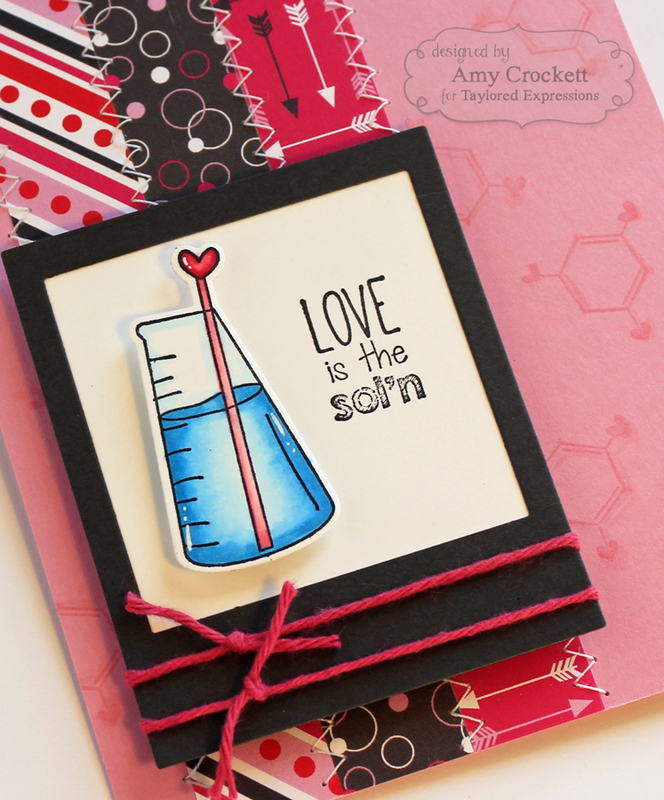 I used the Instant Photo Frames die as a focal point on my card and put the image and sentiment inside of that. 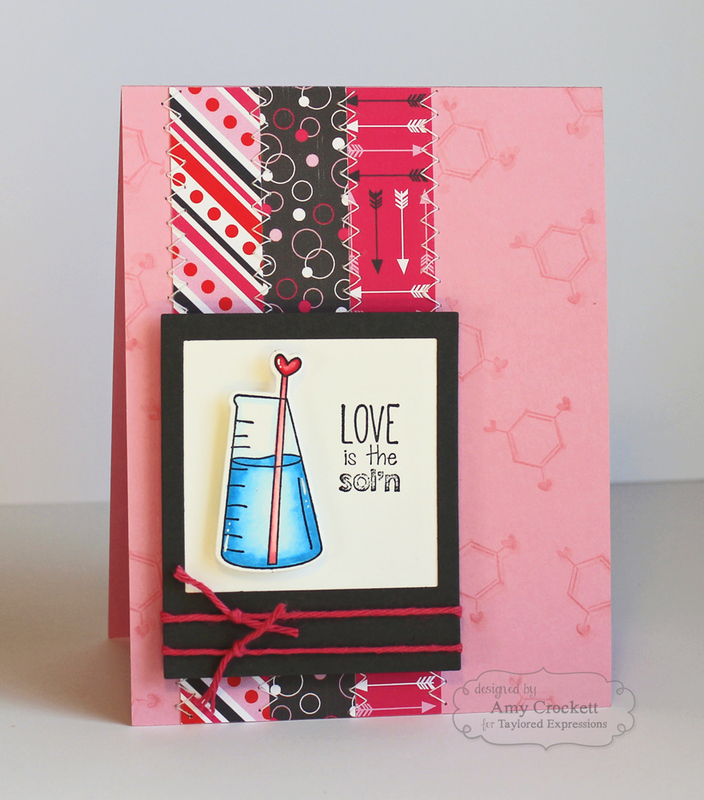 The background piece is also stamped with the Love is the Solution stamps. To finish off the card, I used my sewing machine and added some stitching along with a bit of solid bakers twine from The Twinery. If you would like to see some more amazing projects using this month's new release, hop on over to the Taylored Expressions blog. Super cute card Amy. Awesome image... love the stitching. Very pretty card... love the stitching! Great card, Amy! I love all the little details and the stitching is perfect. Thank you for the inspiration.